Have I Been Brainwashed By North Korea? North Korea is usually a synonym for dictatorship, nuclear tests, various missiles, and three Kims. It is also one of the most isolated countries in the world, you probably wouldn’t have heard of someone that has visited North Korea. 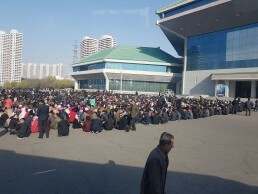 To some extent, it is true that visiting North Korea is a little difficult and that it is not easy to obtain a visa. From what I did know, did read and thought I knew is now very different, however, I still have a lot of unanswered questions for whatever reason couldn’t be answered. The one thing I have learned is the saying ” It’s a free country, and I have the freedom of speech” certainly isn’t the case here. A few questions that I have been asked. I asked my guides a lot of questions, most of them I didn’t really get an answer and it was sort of shrugged off, to be honest, it looked as if they were quite uncomfortable answering. Is it true that they are restricted to specific colours and styles when it comes to clothing? I asked this questions to my guide, which he replied ‘no’ so I then asked him if he could wear any suit colour he liked, which he replied ‘ He can wear the suit he has on (black), a grey or a dark green one. So I think that answers that, from what I was aware of everyone does dress the same, they are dressed very smartly and formal and I only saw 2 colours. It would seem, women, however, can either wear the colourful traditional dresses or smart business wear. Not once did I see anybody in non-formal clothes unless they were in sports gear and training. 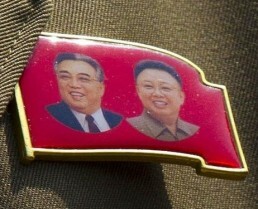 One thing they must wear is the portrait pin of the Kim’s, they have a choice in a round or square single portrait pin or the flagged double portrait pin, THIS IS A MUST! Are they allowed mobile phones? And does social media exist there? Yes, they are allowed mobile phones and no social media doesn’t exist nor does the internet. I loved being in a country where people are not glued to their phones on social media. It was kind of nice not having the internet during my stay. Are you allowed to venture off on your own and tour the country? No, from the second you enter the country you must have your guide with you. The only place you are allowed to go without a guide is inside the hotel. If you leave the hotel you must have a guide with you at all times. If you go outside without a guide, you will be will be picked up by a guard within 50 meters and will be in a lot of trouble. To be honest, from the second yu enter the country it kind of feels like you are being watched! Are there any facts that shocked you about the lifestyles of the North Koreans? I was shocked by almost everything in North Korea, I was shocked to learn that the government gives everyone homes and gives everyone jobs. Even if the job is pointless they are still given this job. The job could be anything from standing next to traffic lights and watching the traffic, to standing by a monument making sure everyone bows, yes bows to a statue is a must. I was shocked to learn that there is no freedom for them to move house and no free will to change jobs. Is it true that when a talent is discovered in an individual they are pushed towards pursuing it as a career? Yes, from what I understood, once a talent is discovered they are pushed from a very young age to maximise that talent. It seemed that the child didn’t have a choice, but all the children I saw at a local school seemed very happy. To be honest, I agree, at a young age, you should be pushed. 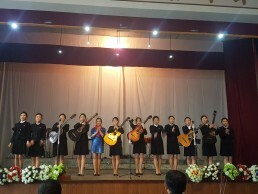 The music talent I saw at the school I visited was by far the best I’ve ever seen in any school, anywhere in the world. Are they strict about marriage? Arranged marriages? There is no arranged marriage and they are free to date and marry who they like. It would seem that this is just the same as in the western world. If they haven’t found anybody they liked from school then quite often, families will introduce their kids together in hope for marriage however it is completely down to each person. The average age for marriage for women is 25 -28 and for a male is 28-32. Is there a great mix of wealth among people? I kind of feel that I was only taken to parts of North Korea that the government wanted me to see, which means that I only saw an equal wealth amongst people. I for sure didn’t see any homeless people and nor did I see any people begging for money. Do the people and their lifestyles feel very robotic to an outsider? Yes, The only way I can describe what it felt and looked like was a strict military prison camp. The way people walked was in an almost marching motion, and the way they formed lines whilst waiting for trams etc was like robots. Not like any normal western world where we look untidy and bundle for the first tram that arrives, they form a very neat 2×2 line. 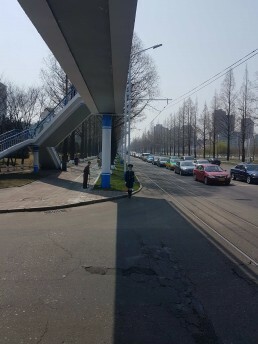 I’ve never seen such straight lines. Would you dare rebel if you disagreed with something? Errrrm, no, You very quickly realise that even if you consider yourself as a free will person when confronted with the right environment, you just find yourself following and obeying their rules. North Korea is a country in eastern Asia on the Korean Penninsula surrounded by neighbouring countries: China, Russia and, of course, South Korea. It is separated from Japan by the Sea of Japan. 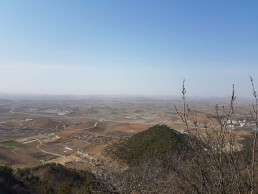 Although it is mostly surrounded by the sea, North Korea is mostly a mountain country with numerous peaks higher than 2000 feet. It has a pleasant climate, but during the winters it can be quite harsh. 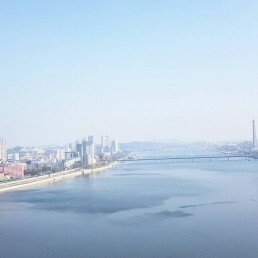 The biggest city in the country is its capital Pyongyang, there are other major cities such as Hamhung, Chongjin, Kaesong or Wonsan which are slowly becoming more accessible for tourists. 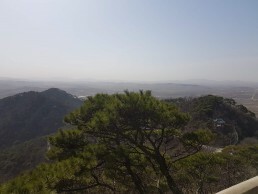 The Korean peninsula has been inhabited for millenniums and the first county founded here was the Kingdom of Gojoseon back in the 3rd millennium BC. The Korean Kingdom was founded in 1389 and it was ruled by the Joseon Dynasty until 1910, making it one of the longest-running dynasties in the world. But in 1910, Japan has occupied and annexed the entire peninsula which was a start of a very harsh rule resulting in deaths of millions. In 1945, the Japan’s rule has come to an end when Soviet forces occupied the north, and the US army the south of the peninsula. The border between two powers was set to be the 38th parallel, but this was meant to be just a temporary measure. Unfortunately, tensions between two political movements led to a severe Korean war whose result was a division of once unified Korean state into two parts. South Korea embraced democracy and the North went towards an authoritative, one party rule under the Kim Il-Sung and his son Kim Jong-Il. What Can You Do In North Korea? Being a tourist in North Korea does not allow you to do anything independently, you will always be followed by a tour guide. Nevertheless, there are several interesting things you will do while in North Korea that could free you from your guide. 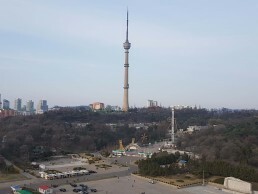 For instance, you can visit an amusement park in Pyongyang that offers several very modern and safe rides (enjoy the 4-minute ride without a guide). Also, the government organises a marathon that is held in the capital Pyongyang every year. The marathon has an international character, so the tourists are welcome to join and run on the streets of the North Korean metropolis, (this is your chance to be free from your guide for up to 4 hours). 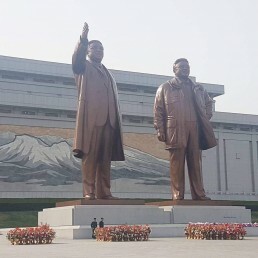 North Korea truly is a beautiful country with many great places to visit but, you will not be allowed to see them all, and everything will depend on your guide for that day. 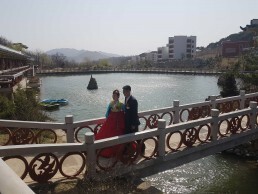 Tourists usually love guided tours but in North Korea, they are quite “guided”. This means you will not have the freedom of going anywhere you want, any time you want like you can in other countries. Most of the attractions are dedicated to the country’s leaders such as memorials, monuments, and museums. 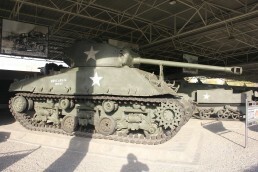 The museums are quite cool, especially if you are fond of military history. 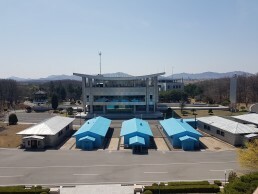 The top touring destination is a visit to the Demilitarized Zone or DMZ. 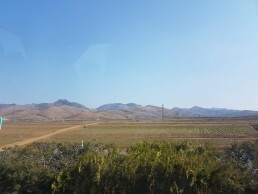 This is the bordering area between the two Koreas, but it is actually not quite demilitarised. On the contrary, it is completely covered by mines and various booby-traps. A visit to Pueblo, the only us navy ship in captivity. The USS Pueblo was a Banner-class environmental research ship which was used by the US Navy as an information gathering ship (spy ship). 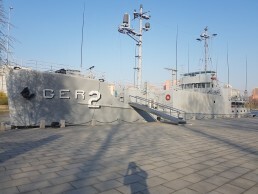 On 23rd January 1968, it was attacked and captured by North Korean forces, after which sensitive equipment fell into North Korean and USSR (Russian) hands. The incident is also known as Pueblo Incident and as Pueblo Crisis. 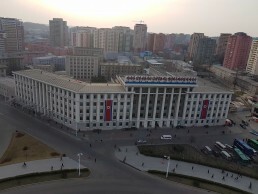 Pueblo is a tourist attraction in Pyongyang, North Korea. Visitors are allowed to board the ship and see its secret code room and crew artefacts. 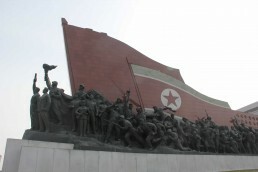 There are many tours through Pyongyang and other cities that will surely be a part of your visit. One thing is for sure, this will be an adventure of your life and you can find out what it’s like to have your freedom taken away from you. Where To Stay While In North Korea? It is obviously not possible to go to your nearest travel agency and book a flight to North Korea unless you are Dennis Rodman, but you also don’t have to be James Bond to visit it. There are agencies that cooperate with ones in North Korea and they can handle all the requirements for a visa. In fact, North Korea rarely decline visa requests for tourists during special events. For example, there is an annual marathon and people from all around the world sign up for it. Also, birthday celebrations of the country’s leader Kim Jong-Un is a great time to ask for a visa. Visiting one of the world’s most unique and fascinating countries is not easy, but on the other hand, it is not that hard. 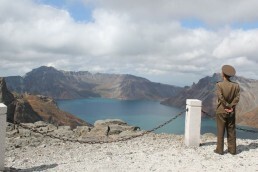 The country is becoming more and more open to tourists, and the number of people who decide to visit North Korea as well as the number who are permitted to enter the country is increasing. The government has announced plans to enable around 2 million tourists to visit the country on an annual basis. Because North Korea is not a free country, and you are not free to roam, the truth is that you don’t really have a choice in hotels. If you are visiting North Korea then the chances are, you will be on a tour and that tour will decide where you will be staying. If you are one of those that are lucky enough to get permission to enter the country and have a private tour, then the next step involves deciding where to stay. 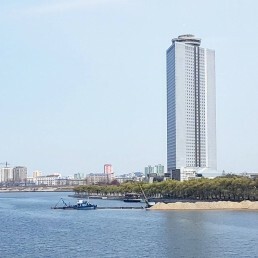 The capital city Pyongyang has a dozen hotels where you can stay. There is no choice of air BnB, hostels or apartments for tourists. 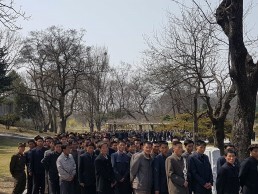 Apart from the already mentioned hotel, travellers have the opportunity to stay in Pothonggand Hotel, Haebangsan Hotel, Pyongyang Hotel and Youth Hotel. All of them come as a decent variant with clean sheets, cosy beds, and nice views. There is no man or woman who is older than 20 and who does not remember a period of living in famine in North Korea, during the last war that occurred in the last century. 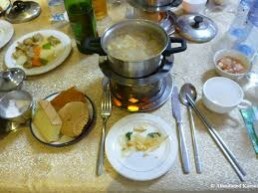 However, the food was always important in the North Korean culture. Believe it or not, North Koreans are great gourmets. They love preparing food, and their restaurants will surprise you with tasty and delicious meals on offer. 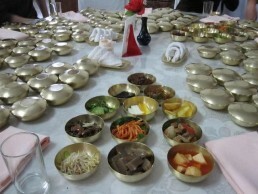 North Korean cuisine rests on vegetable, rice, and meat. These three are usually combined and prepared in various ways to get some of the tastiest dishes in the country. Due to the way North Korea is, having a choice of restaurants is not an option and you will only be taken to restaurants which are suitable for tourists, although, at different times, it is so clear that every tourist visits the same restaurants. So, I am sure after you spend several days in North Korea, you will taste their traditional dishes such as ‘naengmyeon’, and ‘kimchi’. Naengmyeon is the most popular dish in Pyongyang made of buckwheat. They are dark and usually served with a boiled egg, hot sauce and a few slices of meat. Kimchi is a cabbage-based dish that has a mild and spicy version. The latter is more popular in North Korea, and it is consumed on an everyday basis. The rest of the world is mostly brainwashed about North Korea and most of us laugh at the statements related to this Asian country. However, most of the things you hear on the news and read on the Internet about North Korea are just not like that. It is a strange country with a strict set of rules, yes it did feel a little like a prison military camp but I do strongly believe that the leader is doing what he generally believes is best for his people and I do generally believe that they respect him for what he does. -It is possible to visit, as long as you respect the country’s rules and take your guides with you no matter where you go. 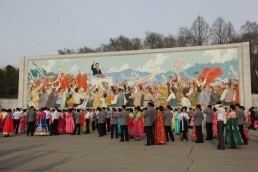 -Kids in North Korea learn English very young – aged 6. -North Korea is one of the safest countries in the world almost without any crime or violence. -There are many alcohol drinks you can order and they are very cheap. -North Korea has its own time zone which is 30 minutes behind South Korea and Japan. -Literacy level in North Korea is 99% which makes it the biggest in the world. 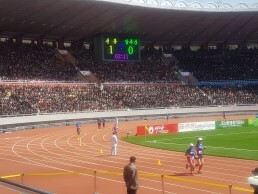 -The Rungnado May Day in Pyongyang is the biggest stadium in the world with more than 150,000 seats. -North Korea actually has a Constitution which is available for all to read. If you are now tempted with North Korea then why not read my Reasons to visit North Korea article? 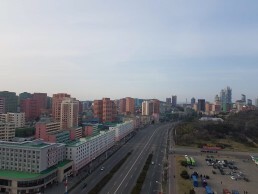 I hope that I have given you a clear and better picture of North Korea, I’m sure many of you have questions so, please use the comments section below. Would you travel to North Korea? if you answer that with a no, then please share why not in the comments. Thank you Chris, glad to hear you found this article interesting. Omg, you went to North Korea wow! Can’t believe you went that. Was it scary? No it was not scary at all, just like any country you must show respect and you will be fine. Sounds very strict, so can you really not go anywhere without a guide? not even to a local shop or the local pub? do they have pubs and did you visit any? Yes, it was very strict and nope, nowhere without a guide. 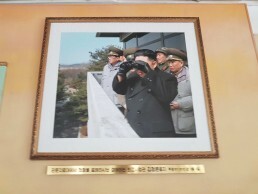 In fact, your guide must meet you as you enter DPRK. But, you certainly can’t pop to the local shop or pub. They do have pubs and bars and yes, one night I visited a so called local bar which catered for tourists. I read your post about Somalia, which was scarier, North Korea or Somalia? What makes you want to visit these places? where is the next scary adventure? stay safe, please. North Korea is not scary at all, it is a very safe country apart from all the problems with the U.S at the moment. Somali on the other hand is very scary. What makes me want to visit? the sense of adventure and to understand other countries a little better than what the media portrays them as. My next scary adventure will be in January, I have a few options which I might take but at the moment I am undecided. Very interesting article. 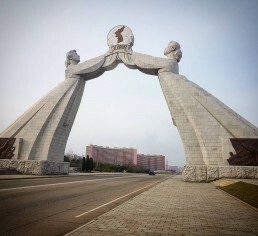 I have a fascination to visit DPRK, and hope to in October. What tour company did you use? Hi, Ed, there are lots of tour companies to use out there, and I’m sure you’ll have a great time, I’m glad you found my article interesting. Be sure to pop back in October to let me know your thoughts. Great post! Very interesting perspectives on this unique country. Thank you, Jack, I’m glad you found it interesting. Well written and informative. Much of it counterintuitive from our own version of conditioning, but sometimes not having choices to make can allow a sort of freedom we would only rarely encounter. Having many choices about what to see and do doesn’t necessarily lead you to the best outcomes and that is a bitter pill for many to swallow ! Thank You, Bob, yes, not having choices doesn’t always lead to the best outcome and I agree it is a bitter pill for many. It was something very different and I think that is what draw me to visiting. Really I want to go there but I am afraid that the restricted picture you get of the country doesn’t tell you the whole story. But still an incomplete story is better than no story. So thanks for sharing your experience, I hope I will go soon as well. Yes that is the downside of DPRK, ONLY being allowed to see what they want you to does restrict a lot of thoughts and it doesn’t show you the whole picture, but in some sense it kind of does. As it then shows you how strict the country is. If you ever do visit, pop back and share your thoughts. Interesting read. Thanks a lot. You’re welcome, glad you enjoyed it. I have solo traveled 33 countries and haven’t been to either of Korea yet. Thanks for adding the intrigue and for your informative post about the country and more. Where are you going for your adventure next? Thank you, where has been your fav out of the 33? my next adventure will be somewhere in Europe I think. where is your next adventure? Such an interesting post about such a mysterious place! We’ve been living in Korea for the past 2 years, so I think we’d find a trip to the North to be very interesting, even if it is a ‘very guided’ tour! Great, informative post! Thank you, I think it would be very interesting for you living in the south to visit the north, I also think being very guided compared to the south would be very strange for you. It’s a very interesting article. I admit North Korea is not on my travel bucket list, only South Korea. Thanks for clarifying some misconceptions. This post is informative. What I most loved about the country is the almost empty streets and the there’s no traffic! Lol! Thank you, John, I’m glad to hear you found it interesting. Yes, thinngs from the media are not always correct, they always seem to focus on the bad rather than the truth and highlight the good as well as bad. Honestly I would NEVER in a million years visit North Korea as long as the current regime is in power. Not due to paranoia or anything like that. I’ve been to plenty of dangerous places. I simply in no way shape or form find it appropriate to give that awful man and his appalling government money. I think supporting that regime is disgusting honestly. Sorry to be harsh, but we are all entitled to our opinions. My hope is that the North Korean people will someday have a choice in how they want to live their lives. I hope that the oppression stops and those who have had the horrid ordeal of having their families split up can be reunited. Hi Meg, yes, everyone is entitled to their own opinions and in some sense, I do agree, however without visiting how would I ever find out the truth? To me visiting was to find out a little more information and gain a better understanding of the country. All we ever hear is things portrayed from the media which 9 times out of 10 is bad. I in no way support that regime, I was highlighting that somethings aren’t all that bad. Yes not having choices is bad but some things weren’t. I am 100% behind you on that and I too hope that the people from North Korea will someday have a choice, a choice in which career path, or a choice in which house they make a home. Of course, I want nothing more than freedom for everyone. but the onlyway I was ever going to get a better understanding of the country was to visit, so that is what I did. I guess the question should be, would I now ever revisit? The answer to that is no, not unless something was to change or give me reason to revisit to see for myself. therefore I wouldn’t say that I supported or support his regime. Thank you, Danijela. I agree I think it is important to see for yourself before you can take on any judgment. I don;t think anyone would support his regime but it was definitely worth seeing for myself and that aside it really is a beautiful country. I hope oneday you make your way there and see for yourself. As I agree sometimes we only hear from the media and they will only give us the bad in order to make a story. I was just talking the other day with y boyfriend about how I would love to go to North Korea, he looked at me like I was crazy. Glad someone went there, even if there’s a bad political situation, that should never stop us from travelling. Awesome read. I never doubted that the people in North Korea hated their leader or their way of life. In my opinion they don’t know any better. They don’t know what they don’t know. If that makes any sense haha. Would I ever visit though? Doubtful. Even if they are content with their life I find it terribly sad and would never want to put myself in a setting like that. I would never be able to relax knowing I’m always being monitored. I’m too much of a rebel. This was very interesting to read. I have heard a lot of similar things from other people who visited North Korea. I think what makes it very interesting, is that we know very little about what really goes on there. It’s really cool that you got to experience this. I’ve always been fascinated by the mystery of North Korea. Very interesting and insightful post, thanks for sharing! Thank you Winnie, I’m glad you found it interesting. I would never visit a country with so many restrictions. I heard the guides show you only the things that they want you to see. Not my kind of traveling. Maybe a few things may be exaggerated when the media feeds you but too much restrictions can kill the joy of travel. Yes very true the guides only show you want they want you to see, sometimes too many restrictions can kill the joy, but I don’t think that was the case in North Korea. They did only take us around the best bits, but I mean would I want to visit the slums if any? well, I didn’t in Kenya or India, so only seeing what they wanted me to see isn’t always bad. It was annoying that I couldn’t choose which restaurant or which mode of transport to take. But nevertheless it was interesting to visit it and come u with m own thoughts. I couldn’t agree more with you. I’ve recently visited North Korea and I have plenty of positive experiences! Thank you Agness, It was certainly intersting wouldn’t you say? And it is great to know what we think is true, rather than what is told to us by the media.